locally in each health board. recommended by the hub. Click on the links below for information about these. A clinical summary explaining the evidence behind delivering an intravenous diuretics service in a community setting, including an implementation proposal and calculated cost savings. The tried and tested learning points for the successful introduction of Intravenous diuretics in the community, including evaluated key findings and 10 reasons to introduce the service. 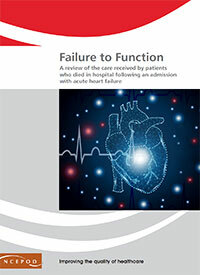 This guide which has been written in collaboration with the National Council of Palliative Care and aims to support those caring for people affected by heart failure, in particular healthcare professionals to open up conversations about end of life wishes and preferences. 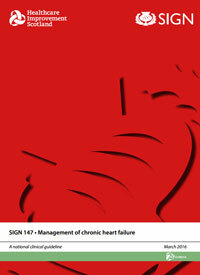 Designed for adults of all ages who have heart failure, and for their families, carers and friends, this practical guide will help you understand and manage your condition better. It contains tips and advice about medications, treatment, self-management and dealing with everyday challenges which will help you live your life as full as possible. 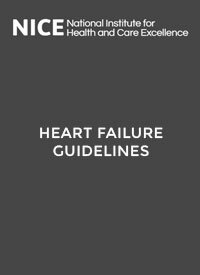 This booklet explains what heart failure is, what causes it, the symptoms, the possible treatments including medicines, and what can be done to help keep the condition under control. A DVD featuring six inspirational stories from individuals with heart failure sharing their experience of learning about the condition and living a normal life. Health care professionals also answer some common questions. The aim of the HEARTe project is to be a free heart disease educational resource that health and social care professionals across Scotland can access. Chest Heart & Stroke Scotland has collaborated with key stakeholders and partners and developed an educational framework which aligned to cardiac specific areas. These areas were identified as priorities by the National Advisory Committee for Heart Disease (NACHD) and related actions as outlined as priorities by the Better Heart Disease and Stroke care Action Plan. 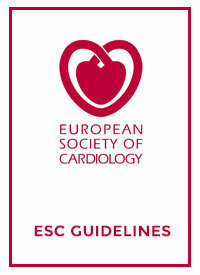 The educational framework underpins the cardiac specific content and has driven the learning outcomes for each module. HEARTe can be used to enhance your Continuing Professional Development (CPD) or to enhance your overall cardiac knowledge. PatientView is a new service for patients with Heart Failure currently patients living in Lothians, Greater Glasgow & Clyde and Ayrshire & Arran. The service gives patients access to some of their medical records including blood test results, GP and hospital medications as well as a system for you to record and monitor symptoms. To enrol in the service, patients must sign and complete an enrolment form and return this to their local unit. Further information about this service is available online www.patientview.org or contact Simita Kumar (simita.kumar@nhs.net).